The Clay Center in Brookline will hold weather festival events in collaboration with the Blue Hill Weather Observatory and the National Weather Service on Saturday, October 27, 2007. Many activities have been planned for families and children. Admission is free, although some activities require purchase of tickets or kits. Activities planned include: demonstrations, planetarium shows, lightning shows, kite-building, rocket launches, hands-on educational activities, educational displays and handouts for all ages. Ride a Segway! Make Instant Snow! 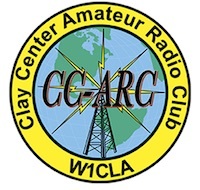 Talk on Amateur Radio! For additional information, see Weather Festival Public Event.